My day generally goes as follows (in terms of beverages)… water with lemon, coffee, water all throughout the day and evening (an occasional martini or glass of wine), and possibly a second cup of coffee. See, I generally don’t opt for a lemonade, a juice, and definitely no sodas around here. Usually it’s just water. 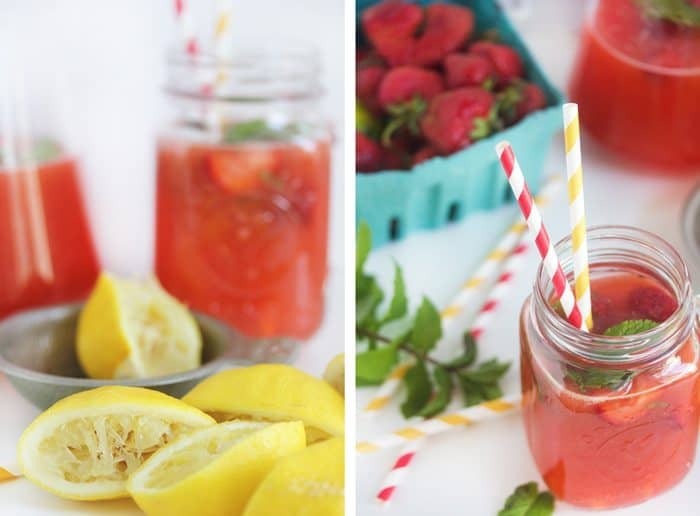 Every so often during a hot summer day I crave a refreshing drink that has a little something sweet. Making time to relax, read, and focus on my mind and body is something I am focusing on this Summer. Relaxation, sleep, and removing stress is just as big of a part of a healthy lifestyle as is eating clean and working out. 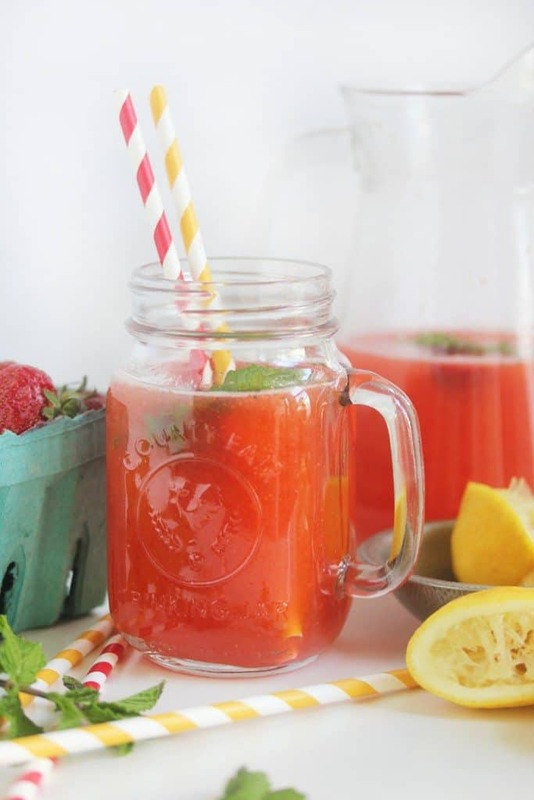 So, whip up a batch of this refreshing Strawberry Lemonade with Mint and make some time for YOU today. A little vodka would be a great addition to this! My favorite gluten-free vodkas are Tito's and Ciroq. How do you make time to relax? What is your favorite thing to do that completely clears your mind? 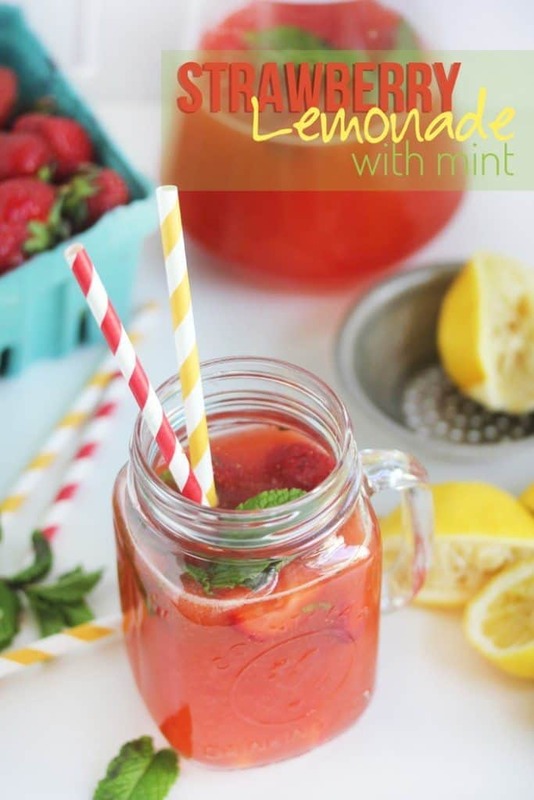 This sounds delightfully refreshing! Thanks for sharing! This looks so incredibly good, love the mint in it! Oh that drink sounds & looks delicious! My favorite way to relax is with a big glass of white wine 😉 But since I’m pregnant my new favorite way is going for a power-walk with my husband or taking a prenatal yoga class.